Inescapable floodwaters, homes destroyed, livelihoods threatened, schools shuttered and hundreds of thousands of Louisianans in desperate need of help. No, I’m not describing New Orleans in August 2005, but scores of Louisiana communities from Lafayette to the Florida Parishes, right now, in August 2016. Last weekend, an unprecedented storm dumped more than two feet of rain in some areas of the Bayou State, leading to record-breaking floods that have left more than a dozen people dead, thousands of families homeless and disrupted the start of the school year for nearly 250,000 Louisiana children. As someone who experienced the destruction left behind by Hurricane Katrina, I can attest that the challenges facing those impacted across Louisiana hasn’t ended now that the floodwaters are receding—in fact, they’ve only just begun. That’s why they need your help. Organizations both large and small—including several education groups—have stepped up to assist families, students, and teachers affected by this disaster. I’ve compiled a list of organizations and schools that are currently accepting contributions to support their flood relief efforts. If you would like to donate, please click on the link for more information. 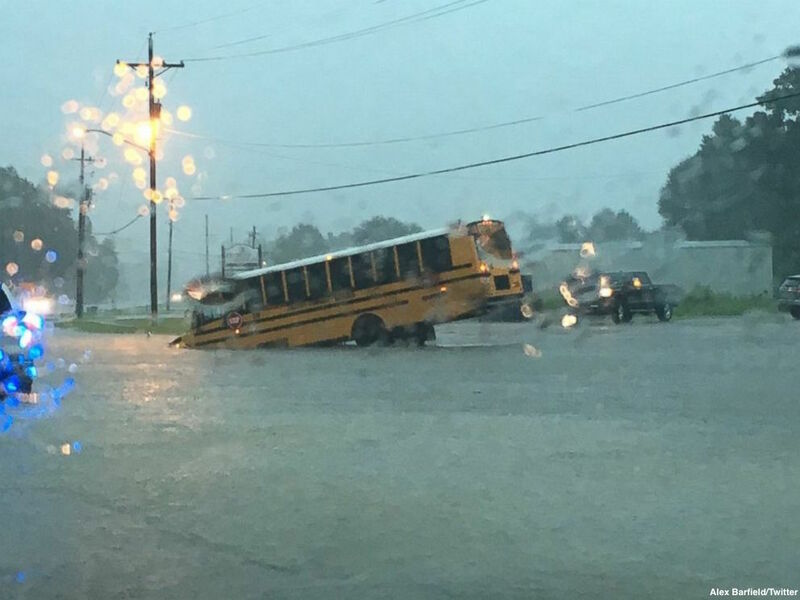 The Associated Professional Educators of Louisiana (A+PEL) has created a dedicated fund to support teachers who have lost their classroom materials during this year’s horrific flooding. All donations will go directly to Louisiana teachers. DonorsChoose is collecting contributions that will go directly to Louisiana teachers for critical needs such as books, supplies, therapy resources, clothing, food and classroom furniture. New Schools for Baton Rouge (NSBR) has set up a page with ways you can donate time, resources and funds to help NSBR supported schools, their staff members and their students during this challenging time. Stand for Children Louisiana has created an Amazon wish list of items requested by educators, students and parents to meet immediate, personal needs. All items will be delivered to Stand for Children who will then deliver them directly to those in need. The American Red Cross is now accepting donations to support its flood relief efforts in Louisiana. Contributions can be made via their website or by phone by texting LAFLOODS to 90999 to donate $10. New Orleans Mayor Mitch Landrieu launched the NOLA Pay It Forward fund in partnership with the Greater New Orleans Foundation to help victims in other communities impacted by flooding. The United Way of Southeast Louisiana is working with nonprofit Community Impact Partner Agencies to provide food, clothing, counseling and other services to assist families impacted by flooding and get them back on their feet. Photo courtesy of Alex Barfield/Twitter.